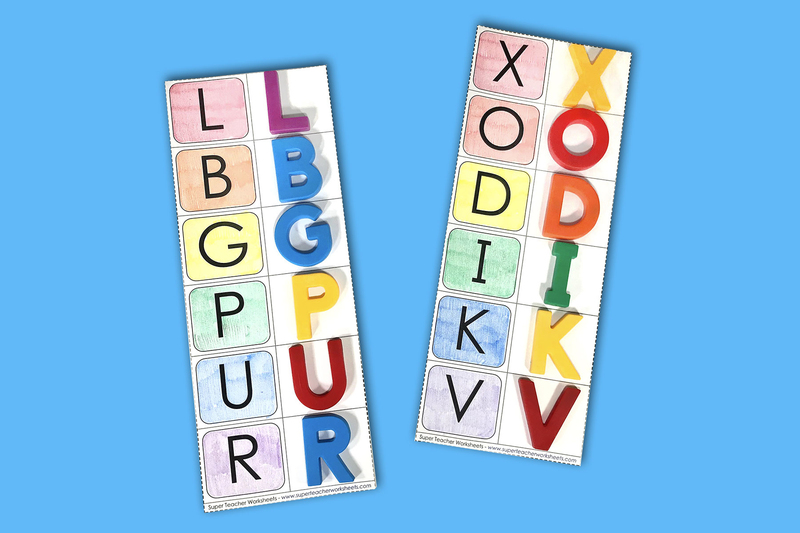 Check out these fun teaching tools for helping little ones learn the alphabet! All of these (and many more!) 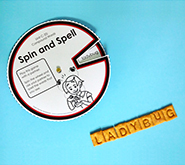 are available on Super Teacher Worksheets. 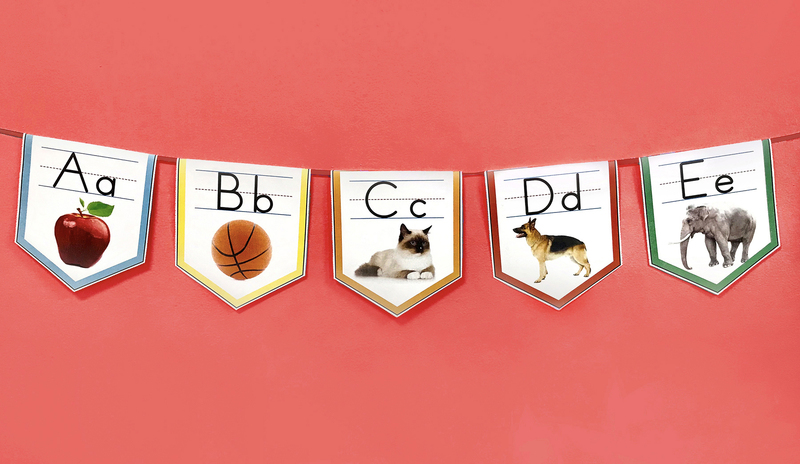 Hang up this festive alphabet banner in your classroom to help students learn their letters. All you need is string and scissors to put together this fun pennant display. In addition to the full color file, there is also a black-and-white version available if you'd like to make this a coloring activity. How cute are these individual letter daubers? 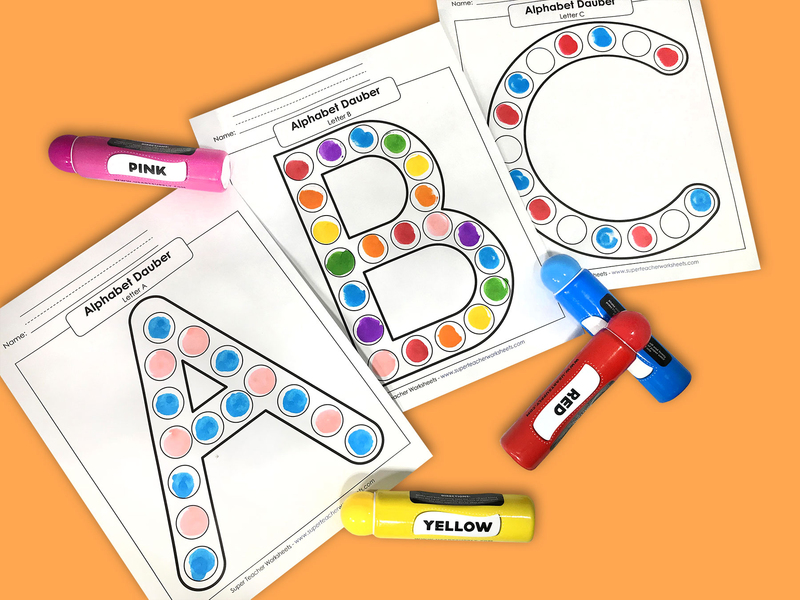 Children use bingo markers to re-create the shape of each letter as a way to become more familiar with the letters of the alphabet. These colorful creations are definitely hang-on-the-refrigerator-worthy! 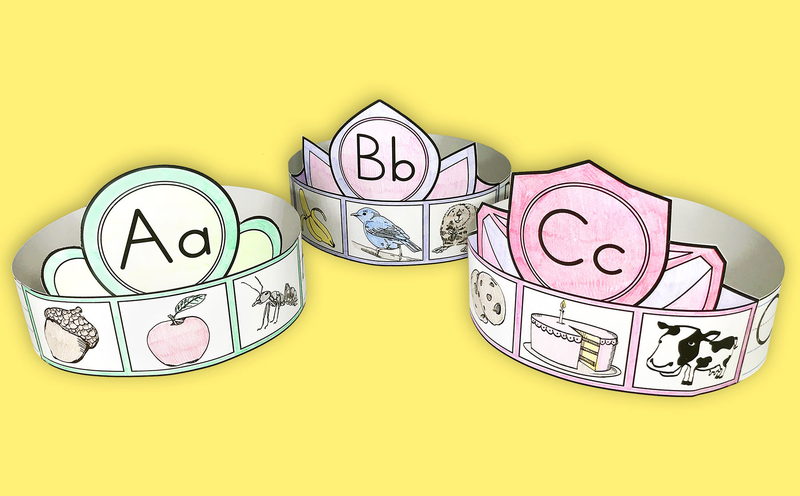 Little ones will love putting together these alphabet crowns! We have one for every letter of the alphabet. Color, cut, and glue this fun paper craft for a fashionable statement that's as easy as A-B-C! "A is for apple" takes on a colorful twist with these fun flashcards! 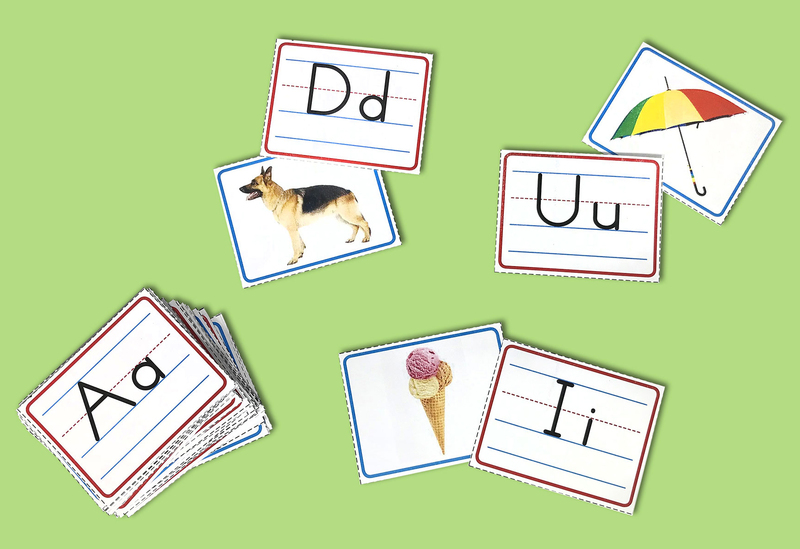 Kids will match the letter cards to the corresponding image cards as they learn their "A-B-C's". 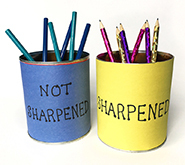 It's a great activity for individual study time, extra one-on-one review, partner games, and group learning centers. Want to know what makes these flashcards even better? You can download the whole set for FREE right here! Use letter boards to help little ones with letter recognition. Match the letters on the board with plastic letters. Laminate the boards and ask children to write the letter with a dry erase marker. 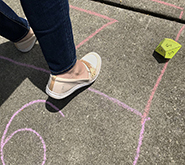 Use the boards for partner games, class quizzes, at-home review, and more. You'll find plenty of uses for these handy boards! 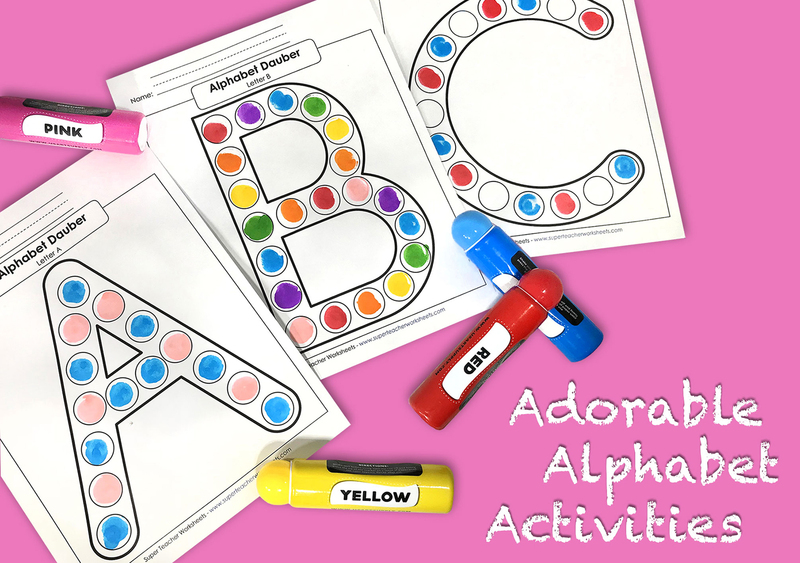 Check out the complete alphabet activities collection on Super Teacher Worksheets! Planning to use any of these resources (or your own) with your students this year? We'd love to hear your ideas! Please drop us a line in the comment section below!